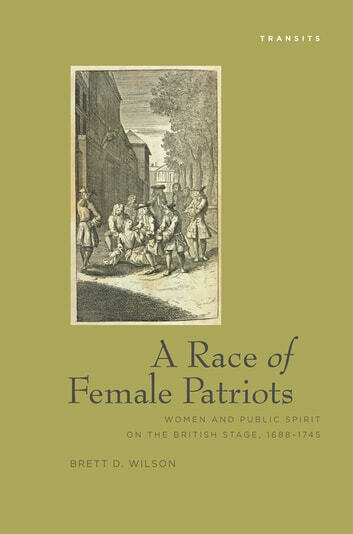 A Race of Female Patriots argues that public-spirited women proliferated on the eighteenth-century British stage to catalyze an affective experience of political belonging, as dramatists imagined new forms of affiliation, allegiance, and loyalty suitable to the new British constitution established bythe Glorious Revolution of 1688. Brett D. Wilson examines both staples of the repertory (The Fair Penitent, Jane Shore) and lesser-known plays (Liberty Asserted, The Revolution of Sweden, Edward and Eleonora) to define the parameters of a prevalent yet under-examined dramatic mode: “civic” dramas that use scenes of political strife and private distress to stage the fashioning of communities around women. Onstage, women act to benefit the public—crucially, Wilson argues, by infusing the commonwealth with sentimental ardor: public spirit. Playwrights like Nicholas Rowe, Catharine Trotter, John Dennis, and James Thomson make the female-centered unions they imagine into synecdoches for a British nation transformed from turmoil to harmony. 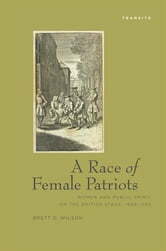 Restoring to view key neglected texts that portray women who feel deeply as agents of inclusion and icons of civic virtue, A Race of Female Patriots is a persuasive study of tragic drama at a time of great political change that yields new insight into the relation between women, feeling, and the public sphere.